An in-depth evaluation of your bank's sales processes to help you and your team acquire ideal customers, increase your margins, and grow your bank easier. 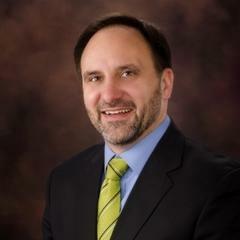 "Like so many small community banks, we were faced with the task of finding consistent growth during the uncertain years following the Great Recession. Also like so many small community banks, we didn't have selling systems in place, nor the expertise to implement one on our own. Under those conditions, we turned to Matt from Sales Math to help our teams develop their sales skills. Over the course of a year, Matt taught our commercial lenders, branch managers, mortgage lenders, and personal bankers how to prospect, build real relationships, communicate their value beyond rate, and close deals. About half way through the project, Matt approached our executive team and said, "I hope you have your funding figured out, because the deals are coming fast." His words proved to be prophetic. That year we grew consistently for the first time in 10 years, over 17%, As proof his system works, and the investment is still paying off, we've continued to achieve double digit growth ever since. In fact, I know many members of our team still reach out to Matt when they are challenged by a customer situation or simply want to brag a little. 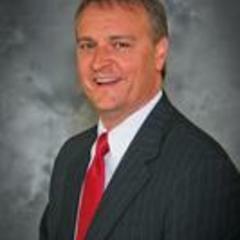 If your institution has an opportunity to develop a selling system, and provide sales expertise to your team, Matt's system is my recommendation for the one that will set your bank apart." 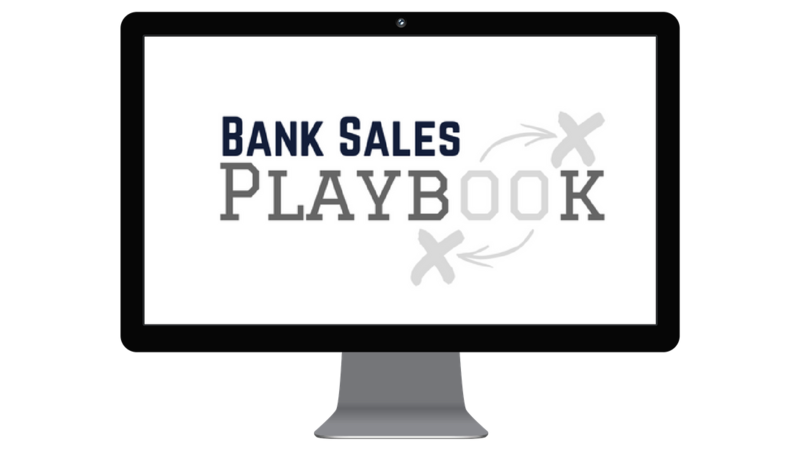 The Bank Sales Playbook™ is made up of proven strategies, processes, and best practices that you can apply in order to increase your sales, avoid the common pitfalls, and allow you and your team to work smarter rather than harder. It doesn’t matter if you’re bank is small, big, new, or just wants to get better at bringing in new deals, the Bank Sales Playbook™ was designed for your institution. Is your goal to set up an institution where you can concentrate on growing the bank without all of those distractions? In this process you will discover how to how to create and clearly communicate your vision to your customers and team. If they don't know the vision, they will make decisions based on what is best for them, verses what is best for the bank. You will be able to create a crystal clear message sharing where your institution is going, what everyone needs to do, and what they should say ‘no’ to. Discover how your bankers become authorities in your market, where they are attracting your institutions ideal clients, and not having to deal with the small accounts that eat up all their time. Position your bank as "The Choice" vs "A Choice" in the markets you serve. Identify what and where your bankers need to be in order to increase leads and convert them into opportunities. From the low hanging fruit that can bring in immediate growth, outbound strategies, inbound strategies, how to build the right centers of influence, and how your bankers can capture and convert the ideal leads and opportunities. Follow-up is the process in which your sales team will be actively engaging customers and prospects over time. Defined follow-up processes ensure your team will be in it for the long haul and capture deals your competitors aren't even getting a shot at. Every conversation you and your team will ever have follows a predictable flow. Understanding that flow will ensure they are in control of the interaction, and moving toward building a relationship that matters to the bottom line. You have all heard the saying that 80% of the deals are made by 20% of the bankers…those 20% understand the secret language off communicating their value in terms that makes prospects WANT to work with them, they know WHEN to ask, and HOW to ask so choosing your bank is a foregone conclusion. Selling doesn’t stop simply because the sale is made. It took a lot of hard work to bring that customer into the family. A good on-boarding process makes sure the transition happens seamlessly, and that they're more likely to stay with you and deepen their relationships. "We hired Matt to work with our original team, and then again after we acquired another institution. His Formula is great at teaching bankers how to take control of their portfolio's. Banks today don't grow if their bankers can't built it, drive it, and grow it themselves. My team now knows how, and it's showing up on the bottom line. " How much is not knowing if you have the right sales systems in place costing you? How many potential customers are choosing your competition? How many customers are you losing because of the disconnect between what you 'THINK' your team is doing and what they think they're supposed to be doing? Can potential clients understand why they need your team's help? You can't afford to guess anymore! Enter your email below and Matt will contact you to set up a private conversation about the Bank Sales Playbook and your Institution.